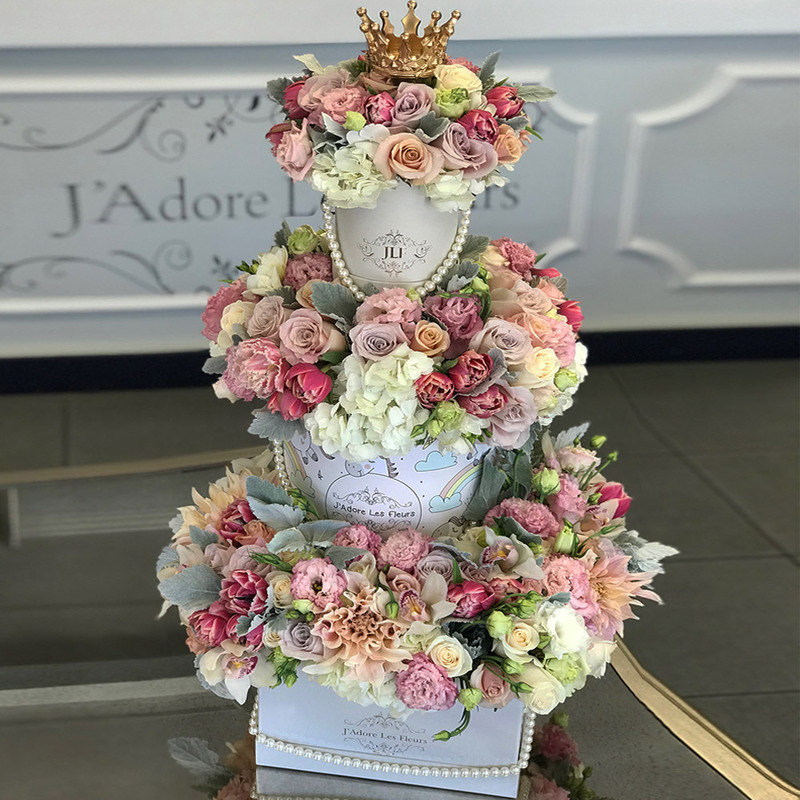 This radiant design is sure to be a sweet surprise the lucky recipient, or may we say “her majesty!” The idea of a crown on top of the luscious fleurs will indeed make her feel some kind of way, especially with hues of pinks, greens and whites! This is the 3-tiered version. The first layer is the large square box, second layer is the medium round box, and third tier is a mini box.